In 1986, Yoweri Museveni became president. Under his reign, an end was put to a violent period of political instability and the economy slowly improved. Museveni also introduced a new political system, whereby political parties were not allowed and politicians were elected on personal merit, not party affiliation. 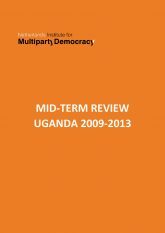 In 2005, the majority of Ugandans voted in a referendum for re-introducing multiparty politics. 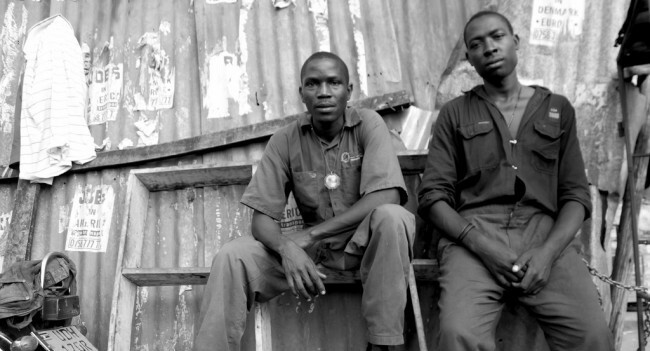 This was followed in 2006 by the first multiparty elections in twenty five years. Despite this, Uganda has a de-facto one-party dominant political system, and still has a polarized political landscape. Opposition parties only have a limited ability and space to influence the political reform agenda. In particular opposition parties remain fragile and face several challenges. For example, the parties largely rely on the appeal of their leaders rather than the strength of their policies. They also face internal divisions, and lack accountability and internal democracy. Effective participation of women and youth in political parties also remains problematic. In the run-up to and following the 2016 general elections, concerns heightened over shrinking space for legitimate political activities. For example, the Public Order Management Act, which was introduced at the end of 2013, places restrictions on public meetings. One consequence is that opposition parties find it increasingly challenging to organize rallies. This was compounded by the fact that Ugandan parties in general are not strongly organized, especially at decentralized levels. The different constitutional and electoral reforms are also not coming off the ground, despite a large public outcry and concerted efforts by a plethora of stakeholders (including political parties) for reforms and to pursue national dialogue processes. An additional challenge that political parties are facing is the increasing prevalence of independent Members of Parliament. In the 2016 national elections the number of independents has increased to 66 members (15.5%) more than the combined representation of 57(13.4%) members from all the other opposition parties. NIMD’s overall objective in Uganda is to help foster a well-functioning, strong and vibrant multiparty democracy. The programme has two main aspects. The first focuses on facilitating an inclusive political dialogue between the parties represented in parliament. The second supports parties as they develop into mature organizations with a sound organizational structure and a distinctive programmatic identity. 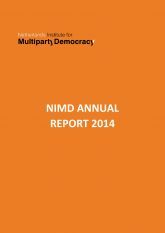 In 2010, the then six parliamentary parties, with NIMD’s support, established an informal interparty dialogue process (the Interparty Organisation for Dialogue, IPOD). Establishing this marked a turning point in multiparty politics in Uganda as both the ruling party and opposition committed to regularly engaging with each other in a dialogue process aimed at addressing challenges facing Uganda. This process is facilitated on behalf of the parliamentary political parties by NIMD-Uganda, a registered organization in the capital, Kampala. In the 2016 elections, four parties won seats in Parliament. These parties engaged in a review of IPOD and concluded a process of reviewing and revising the IPOD MOU. A key result of this process was the inclusion in the Council of the Leader of Government Business (the Prime Minister), Leader of the Opposition, and the chief whips of the IPOD political parties. The revised MOU came into effect following signing by party leaders in September 2017. 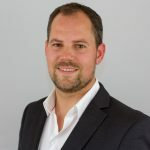 In August 2018, a fifth political party, JEEMA, re-entered parliament following a by-election. JEEMA subsequently joined IPOD again. For more information on JEEMA joining IPOD can be found here. In 2019, NIMD also started a new Political Party Capacity Strengthening Project (PPCSP) in Uganda for member parties of IPOD. 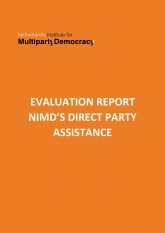 In NIMD’s experience, ruling parties are more willing to engage with opposition political parties who act programmatically and have a clear constituency. This also allows them to play ‘more on the ball and less on the adversary’. The PPCSP focues on increasing access to justice, promoting public accountability and mobilizing female activists within the country. It does so through a calendar of comprehensive workshops, training sessions, and public awareness events for parties and the public in Uganda. Following a January 2019 launch workshop attended by secretaries general from IPOD participant parties, parties will be invited to meet experts on topics such as party communication, conflict resolution, and policy development. Through strengthening the capacity and internal democracy of Ugandan political parties, the PPCSP facilitates Ugandan political parties to become more effective players in Uganda’s multiparty system. 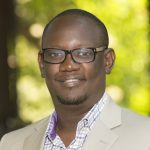 The project is funded by the Democratic Governance Facility (DGF), a multi-donor governance fund setup by key international development partners in Uganda. Strengthen the interparty dialogue process among the parties under IPOD and strengthening relations between parties and key stakeholders such as the IEC. Strengthen the linkages between parties, their MPs and civil society organisations to stimulate issue based debate, informed policy development and to maintain democratic space. Build organizational and programmatic capacities of parties and strengthen internal conflict resolution mechanisms. Promote the participation of women and youth in politics. Contribute to the peaceful conduct of elections. This programme is part of the ‘Strategic Partnership’ programme of the Dutch Ministry of Foreign Affairs. More on the Strategic Partnership with the Ministry here.